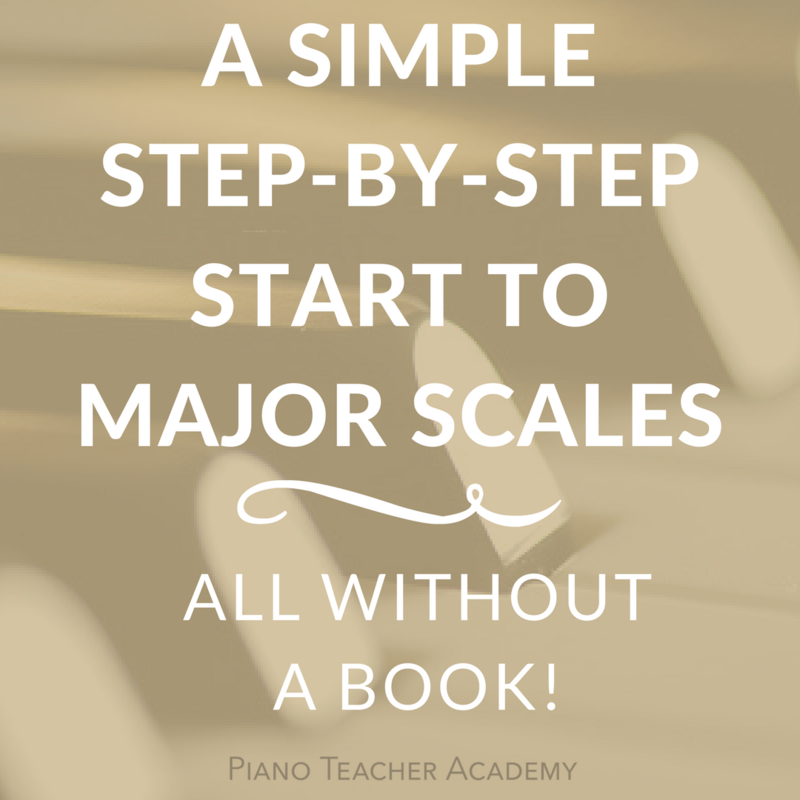 Welcome to our September 2015 GET IN SHAPE Piano Play-Along! 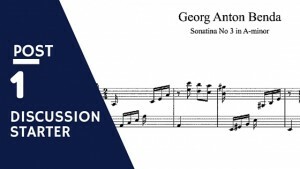 with Sonatina in A minor by Jiří Antonín Benda, also Georg Anton Benda (1722-1795). For more information on Play-Alongs and how to get started, click HERE. You may join this Play-Along anytime you wish and continue to reply with comments even after October 10, 2015, the day we all chime in with our final thoughts about this gem. This is the FIRST TIME we’ve added Periscope to our Play-Alongs! I think Periscope will be VERY beneficial for demo on my end and discussion among all of us on a LIVE broadcast. Much more interactive! I hope all of you liked it Monday. *** To stay tuned to LIVE broadcasts on Periscope, please FOLLOW @pianoprof once you establish your account on the mobile app – PERISCOPE. It’s a mobile-only app so you must download it on your phone or tablet. You can catch broadcasts at www.periscope.tv/pianoprof on your desktop or laptop computer if you don’t have your mobile device with you during a broadcast (but you won’t be able to communicate on the broadcast with comments if you’re on your desktop or laptop). Click HERE to learn about downloading Periscope…. A little summary of what we talked about Monday, Sept. 21 on Periscope No. 1….. 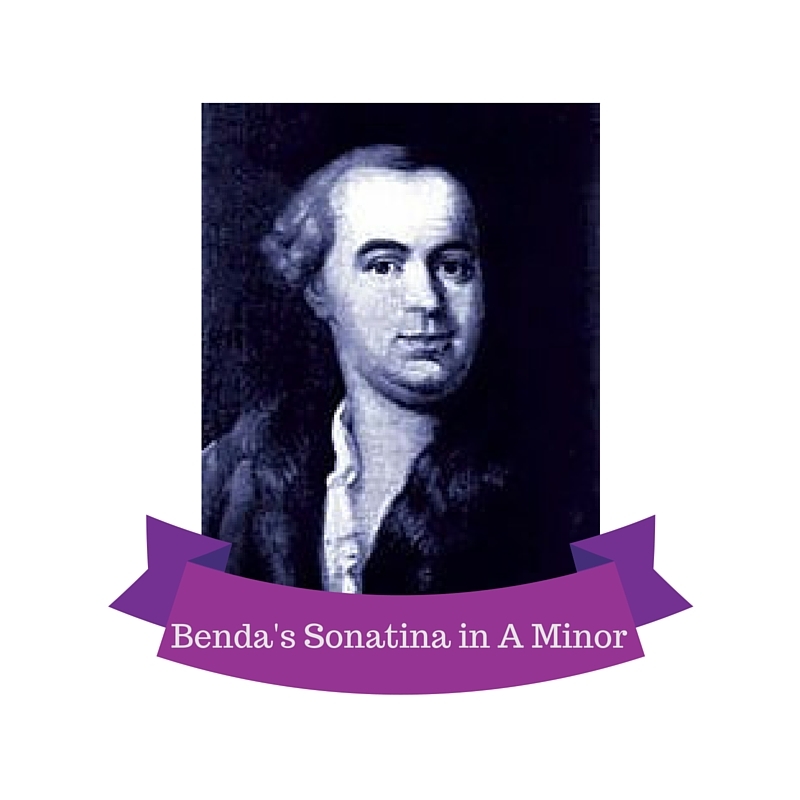 This sonatina is definitely Benda’s most popular from his 34 or so keyboard sonatas and sonatinas, according to Wikipedia’s count. Benda was mostly known for his operas and melodramas which influenced Mozart. His short and accessible one-mov’t sonatinas are mostly intermediate in level. 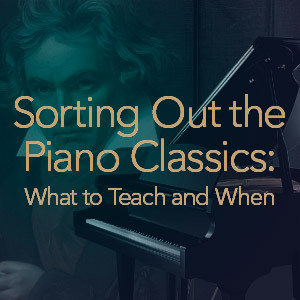 This A minor one appears the most often in educational piano collections and is a real favorite among students because of its dramatic flair, tunefulness, and toccata character, all of which are typical of Benda’s keyboard style. Arpeggiation between hands, cross-overs, part-writing, and rhythmic variation are all present in this short work which seems to always alternate moods. Wonderful drama is created from these contrasting elements which makes this piece exhilirating to play. 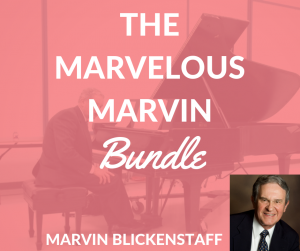 The variety of textures and rhythmic motifs could cause one to alter the tempo from one theme to another. Students often rush the fast-moving material (16ths) and then slow the tempo on the longer tones. This tendency could cause the piece to lose its energy so counting aloud is really essential, especially counting in subdivisions as needed. Study the form (ternary – ABA) and label each section to see where/if the sections share similar melodic or rhythmic material. Note also where Benda uses A minor or E Major (the dominant) or C Major (relative major) and the primary chords of these keys. Knowing what geography you’re going to encounter speeds the learning process. After a few slow readings, divide the piece into study sections first by form (A section vs. B section) and then into smaller sections within wherever you see contrast in rhythm or melody. Perhaps study all the 16th-note areas first, solidfying the fingerings and working for evenness and steadiness in each instance. 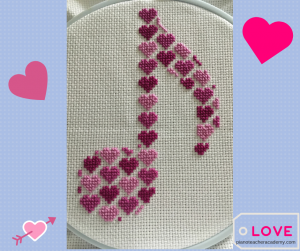 Then shift to the melodic ideas with longer tones such as the syncopated theme (mm. 5-8 and similar). The syncopated themes contain diverse material in each hand so be careful to acknowledge the slurs and the legato indications in the LH. Once you have the continuity in the small sections mastered (and a consistent tempo), join sections to make 8mm. phrases and so forth. Keep a reliable “working” tempo and gradually increase it daily to an Allegro over the next 14 days. None of my present editions contains a metronome marking and Benda didn’t write one (since the metronome wasn’t invented yet). A good rule of thumb for an Allegro is to play 16ths just fast enough to sound like they are indeed 16ths when compared to eighths and quarters. We can all compare ideas on final tempo later. I’ll post my final reactions about this piece on October 10, but I will probably add another blog post or two before then to ask how you all are doing. Chime in below and let me know if you’re playing-along, OK? *** TAKE NOTE! I’ll be doing another Periscope next Monday, Sept. 28, talking mostly about tricky passages and how to work on them. I’ll also post a mini-video tutorial or two on INSTAGRAM. 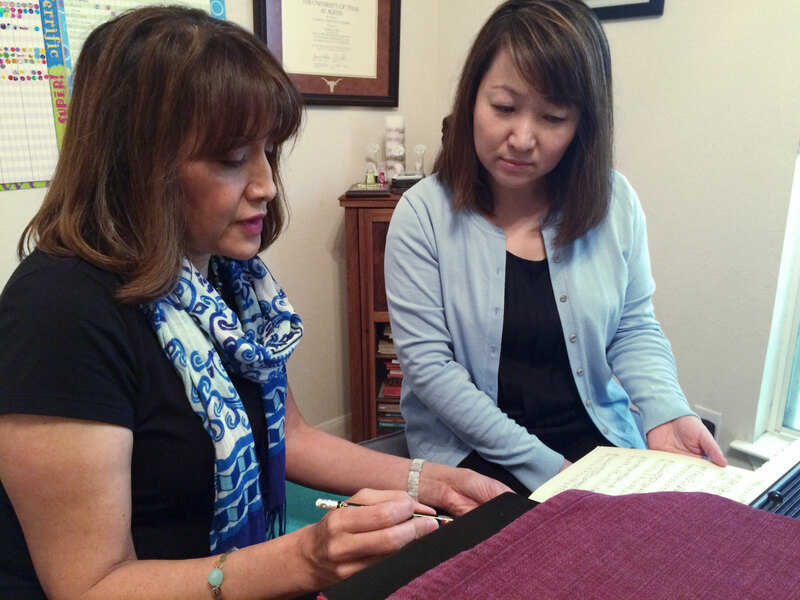 Download the Instagram app on your phone or tablet and follow me at @pianoprof. See my post HERE for how-to’s on downloading Instagram and setting up your account. Easy! See you soon somewhere on social media! Great! Hope you’re enjoying this piece. Playing along. Enjoyed the Periscope broadcast today. Hi Tana ~ glad you enjoyed it and thanks for joining the Play Along. It was a lot of info I tried to pack in. Hope you find it useful! Enjoyed the whole session playing my piano along the guide 🙂 You’ve summed up things greatly.